Elijah WHITE [Parents] was born on 15 Feb 1822 in , Perry, Tennessee. He died on 19 Feb 1886 in Jones Prairie, Milam, Texas. He was buried in Feb 1886 in Little River Baptist Church Cemetery, Milam, Texas. Elijah married Juliett E. "Julia" JONES on 31 Dec 1843 in , Walker, Texas. Juliett E. "Julia" JONES [Parents] was born on 3 Jun 1823 in , Edgar, Illinois. She died on 6 Sep 1873 in , Milam, Texas. She was buried on 9 Sep 1873 in Little River Baptist Church Cemetery. Milam, Texas. Juliett married Elijah WHITE on 31 Dec 1843 in , Walker, Texas. F i Sarah J. WHITE was born on 24 Oct 1844. She died on 26 Jan 1868. M ii Calvin Cobb WHITE was born on 11 Oct 1847. He died on 29 Jul 1918. M iii Joseph P. WHITE was born on 11 Oct 1849. He died on 23 Jan 1878. M iv William Perry "DINK" WHITE was born in Feb 1850. He died on 1 Aug 1923. M v Leonard Ray WHITE "Sr" was born on 22 Feb 1853. He died on 20 Feb 1930. F vi Mary "Mollie" WHITE was born in Mar 1855. She died on 10 Jul 1892. F vii Ann E. "Annie" WHITE was born in 1857. She died on 17 Mar 1886. Florence WHITE was born in 1857 in Jones Prairie, Milam, Texas. Augustus "Gustus" WHITE was born on 15 Oct 1858 in , , Texas. He died on 19 Nov 1861. He was buried in Nov 1861 in Little River Baptist Church Cemetery, Jones Prairie, Milam, Texas. F x Martha Elizabeth "Lizzie" WHITE was born on 9 Sep 1860. She died on 4 Jun 1927. Edward Franklin WHITE was born on 1 Oct 1863 in , , Texas. He died on 8 Jan 1867. He was buried in Jan 1867 in Little River Baptist Church Cemetery, Jones Prairie, Milam, Texas. M xii David Jones WHITE was born on 1 Jan 1867. He died on 29 Dec 1932. Robert C. WHITE [Parents] was born in 1790 in , Anson, North Carolina. 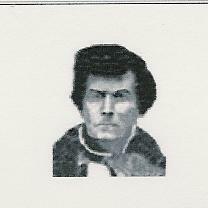 He died on 23 Dec 1853 in Centerville, Leon, Texas. Robert married Nancy COBURN about 1809 in , Anson, North Carolina. Nancy COBURN was born in 1795 in , Anson, North Carolina. She died in Oct 1850 in , Leon, Texas. Nancy married Robert C. WHITE about 1809 in , Anson, North Carolina. M i Lacy Griffeth WHITE was born in 1810. He died in Aug 1870. F ii Nancy Jane WHITE was born in 1812. She died in 1890. M iii Hedley Coburn WHITE was born on 25 Mar 1815. He died on 26 Feb 1909. F iv Sarah WHITE was born in 1816. F v Hester WHITE was born on 10 Jun 1818. She died on 16 Jan 1849. M vi Henry Asbury WHITE was born in 1819. He died in 1900. M vii Elijah WHITE was born on 15 Feb 1822. He died on 19 Feb 1886. M viii Joseph WHITE was born on 12 Oct 1824. He died on 9 May 1913. F ix Siletha WHITE was born in 1826. She died in 1853. Nancy Jane WHITE was born in 1928 in , Perry, Tennessee. M xi Sanders WHITE was born on 12 Mar 1830. He died on 24 Jul 1915. F xii Mary B. WHITE was born on 23 Jan 1735. She died on 22 Feb 1868. Uriah MC KINNEY was born about 1825 in , , , Usa. Uriah married Elizabeth Jane JONES in 1844. Elizabeth Jane JONES [Parents] was born in 1824 in , , Illinois. She died in Pulaski, Pulaski, Illinois. Elizabeth married Uriah MC KINNEY in 1844. Armstead ROGERS "III" [Parents] was born on 16 Jun 1816 in , Montgomery, Tennessee. He died on 1 Apr 1894 in Jones Prairie, Milam, Texas. He was buried on 4 Apr 1894 in Little River Baptist Church Cemetery, Jones Prairie, Milam, Texas. Armstead married Mary "Polly" JONES in 1847 in Jones Prairie, Milam, Texas. Mary "Polly" JONES [Parents] was born on 20 Jun 1828 in , , Illinois. She died on 27 Oct 1892 in , Brown, Texas. She was buried on 29 Oct 1892 in Zepher Cemetery, Brown, Texas. Mary married Armstead ROGERS "III" in 1847 in Jones Prairie, Milam, Texas. F i Mary Carolyn "Carrie" ROGERS was born in Nov 1848. She died on 18 Aug 1906. F ii Susan E. ROGERS was born on 3 Sep 1850. She died on 31 Mar 1920. F iii Mary ROGERS was born about 1852. M iv Joseph Albert ROGERS "I" was born on 21 Mar 1853. He died on 20 Mar 1938. F v Julia Saphenia ROGERS was born on 1 Feb 1855. She died in May 1949. M vi James Jones ROGERS was born on 26 Mar 1855. He died on 1 Mar 1946. F vii Elizabeth Osibeth "Bettie" ROGERS was born on 19 Nov 1856. She died on 24 Nov 1891. M viii George ROGERS was born on 31 Mar 1858. He died on 3 Jul 1916. F ix Sarah "Sally" ROGERS was born on 5 Mar 1860. She died on 6 Mar 1930. Rosie Ellen ROGERS was born on 7 Mar 1862 in Jones Prairie, Milam, Texas. She died on 9 Jan 1950 in Fort Worth, Tarrant, Texas. F xi Martha Rossita "Rosa" ROGERS was born on 21 Apr 1863. She died on 1 May 1933. F xii Julia Saphrenia "Julie" ROGERS was born on 1 Feb 1865. She died in May 1949. M xiii William Edgar ROGERS was born on 5 Feb 1867. He died on 19 Oct 1943. M xv Dr. Madison Woodson "Matt" ROGERS was born on 26 Aug 1872. He died on 27 Dec 1960. Armstead ROGERS "III" [Parents] was born on 16 Jun 1816 in , Montgomery, Tennessee. He died on 1 Apr 1894 in Jones Prairie, Milam, Texas. He was buried on 4 Apr 1894 in Little River Baptist Church Cemetery, Jones Prairie, Milam, Texas. Armstead married Cinderella ARNOLD on 14 Jul 1835 in , Washington, Texas. Cinderella ARNOLD [Parents] was born about 1820. She died about 1845. Cinderella married Armstead ROGERS "III" on 14 Jul 1835 in , Washington, Texas. Armstead ROGERS "II" [Parents] was born about 1782 in , Halifax, Virginia. He died in Sep 1848 in , Montgomery, Tennessee. Armstead married Brida WHITSETT. Brida WHITSETT [Parents] was born about 1782 in , Sumner, Tennessee. She died before 1820 in , Sumner, Tennessee. Brida married Armstead ROGERS "II". M i Armstead ROGERS "III" was born on 16 Jun 1816. He died on 1 Apr 1894. Thomas Jefferson STIDHAM [Parents] was born on 1 Jan 1834 in , Cass, Georgia. He died on 26 Nov 1862 in Little Rock, Pulaski, Arkansas from Civil War Casualty. Thomas married Nancy Caroline JONES on 25 Dec 1856 in , Milam, Texas. Nancy Caroline JONES [Parents] was born on 2 Jun 1830 in , , Illinois. She died on 10 Apr 1907 in Jones Prairie, Milam, Texas. She was buried on 12 Apr 1907 in Little River Batist Church Cemetery, Jones Prairie, Milam, Texas. Nancy married Thomas Jefferson STIDHAM on 25 Dec 1856 in , Milam, Texas. F i Sarah Adeline "Addie" STIDHAM was born on 21 Aug 1857. She died on 6 Feb 1950. M ii Lucien A. STIDHAM was born in 1859. He died in 1889. M iii Benjamin Franklin STIDHAM was born on 8 Feb 1862. He died on 8 May 1930. Martin STIDHAM was born on 19 Sep 1792 in Edgefield, Edgefield, South Carolina. He died on 11 Feb 1855 in Edgefield, Edgefield, South Carolina. He was buried in Stidham-Henderson Cemetery, Taylorsville, Bartow, Georgia. Martin married Hannah ETHERIDGE on 11 Dec 1817 in , Edgefield, South Carolina. Hannah ETHERIDGE was born on 20 Nov 1800 in , Edgefield, South Carolina. She died on 19 Mar 1873 in Polk, Cass, Georgia. She was buried in Stidham-Henderson Cemetery, Taylorsville, Bartow, Georgia. Hannah married Martin STIDHAM on 11 Dec 1817 in , Edgefield, South Carolina. M i Thomas Jefferson STIDHAM was born on 1 Jan 1834. He died on 26 Nov 1862 from Civil War Casualty. Clinton Lewis M. ETHRIDGE was born about 1834 in , , Georgia. He died in 1861/1865. Clinton married Martha A. "Patsy" JONES. Martha A. "Patsy" JONES [Parents] was born about 1833 in , , Illinois. Martha married Clinton Lewis M. ETHRIDGE. M i James Clinton ETHRIDGE was born about 1860. M. L. ETHRIDGE was born on 25 Apr 1862 in Jones Prairie, Milam, Texas. He died on 6 Oct 1866 in Jones Prairie, Milam, Texas. He was buried in Oct 1866 in Little River Baptist Church Cem, Jones Prairie, Milam, Texas. Edward Frank JONES [Parents] was born in Dec 1835 in , , Texas. He died on 16 Nov 1936 in , Harris, Texas. Edward married Sarah Ann "Sallie" LESTER. 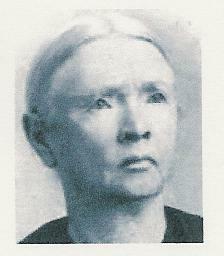 Sarah Ann "Sallie" LESTER [Parents] was born on 3 Aug 1845 in Burton, Washington, Texas. She died on 21 Jan 1926 in Atascosa, Bexar, Texas. She was buried in Blackhill Cemetery, Atascosa, BexarTexas. Sarah married Edward Frank JONES. JONES was born in 1867 in , , Texas. JONES was born in 1969 in , , Texas. M iii Almer Rine JONES was born on 24 Nov 1871. Lena Viola JONES was born on 19 Jul 1875 in , , Texas. She died on 29 Aug 1889 in Kerrville, Kerr, Texas. She was buried in Mountain View Cemetery, Kerrville, Kerr, Texas. Josie L. JONES was born in 1876 in , , Texas. F vi Georgie Mae JONES was born on 26 Jan 1882. She died on 20 May 1977.